By Bri Lamm – March 8, 2019 Thank you Chuck!! 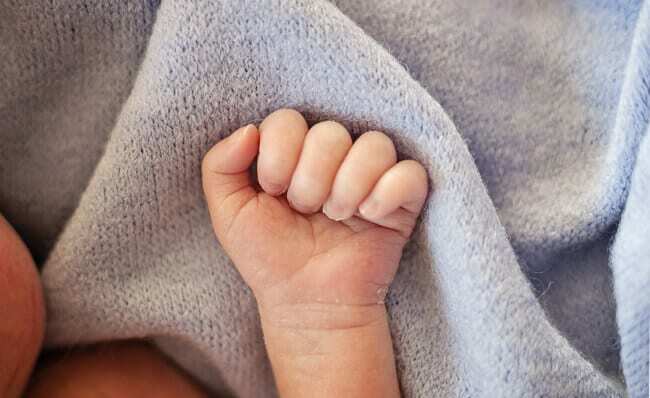 Alabama has become the first state to recognize an aborted baby as a person with rights in a landmark case that is capturing attention across the nation this week. Nineteen-year-old Ryan Magers of Madison County, Alabama has been permitted by an Alabama judge to sue the abortion clinic that killed his unborn child — something he says was done against his wishes. On February 10, 2017 Magers’ girlfriend went to the Alabama Women’s Center where she received a pill that aborted the baby they had conceived. “I just tried to plead with her and plead with her and just talk to her about it and see what I could do, but in the end, there was nothing I could do to change her mind,” said Magers. Last month, Magers filed a lawsuit against the clinic stating that the baby, (Baby Roe) was aborted at six weeks in 2017, despite him begging his girlfriend to let the baby live. “I believe every child from conception is a baby and deserves to live,” he added. On January 25, 2019, Magers filed a petition to serve as the personal representative of Baby Roe’s estate. It’s a move that the teen’s lawyer, Brent Helms, believed would set precedent, as it’s the first case of its kind in the nation. During last year’s midterms, Alabama’s “personhood law” was passed under Amendment 2 and requires that the state recognize rights of the unborn. Thus, in a remarkable ruling this week, presiding Judge Frank Barger ordered that the aborted child, Baby Roe, needs to be regarded as the plaintiff in the case. Ryan Magers will represent the baby’s estate. Helms noted that Alabama’s law states that life begins at conception, which could mean the case will go all the way to the supreme court.